Oh Hey There! : Review || The Body Shop Warming Mineral Mask. Review || The Body Shop Warming Mineral Mask. The Body Shop Warming Mineral Mask. I have mentioned The Body Shop Warming Mineral Mask a few times before and it has fast become one of my favourite products. The first reason I love this mask so much is that it is always reliable. I know that when I have a breakout I can slap it on for about 5-10 minutes, including it in my night time skin care routine and then voila! In the morning my spots are either massively reduced or have vanished! The mask claims to invigorate, clarify and condition, advising use once or twice a week, which I tend too. The mask contains Kaolin clay which is known to work wonders for spots and dried them out really well. Clay in general is known for being great to zap blemishes. I have actually made my own clay masks before but they have never ended up that great. The second reason I love the Warming Mineral Mask is because it is well balanced. When I have made my own clay masks, they have always gone too far and dried my skin out too much. This then ended up having the reverse effect, making my skin feel very tight and very red. The Warming Mineral mask is well balanced and although powerful, it doesn't seem to react badly in any way with my skin. It just does exactly what I need it too! It's also love that it really does heat up when on your skin. The first time I used it I was actually a little taken aback as it is instantaneous, literally the second it comes in contact with your face, it is hot. It's so relaxing and really great if you are trying to unwind and de-stress! 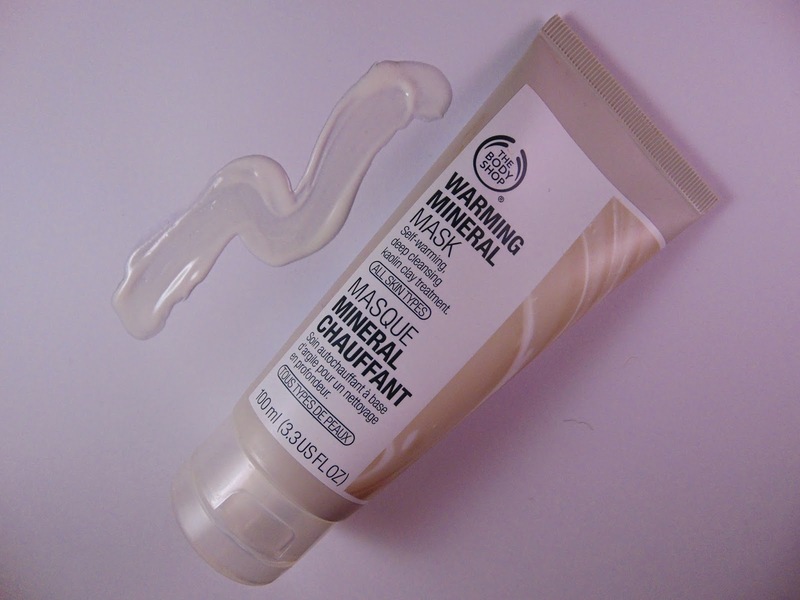 Have you tried The Body Shop Warming Mineral Mask? Review || La Roche-Posay SeroZinc. Review || Bourjois Rouge Edition Velvet.